March 07, 2013 10:13 ET | Source: Root Inc. 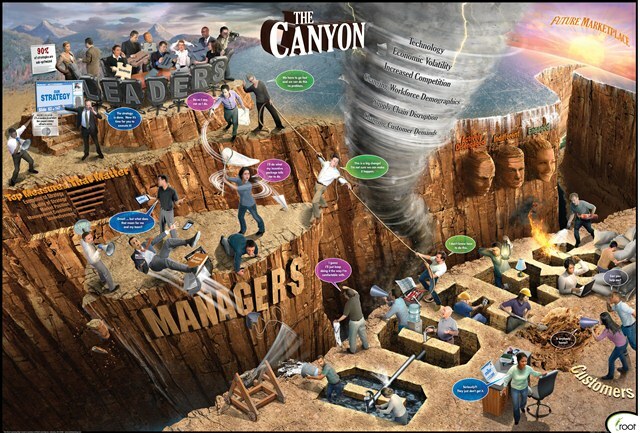 There are canyons in every organization that are impacting customer experience and customer loyalty. Root, will lead a panel of executives through a workshop titled Bring Your Brand Promise to Life through Your People: Bridge the Gaps Between Leaders, Managers and the Frontline. This interactive session will define the obstacles and organizational challenges companies face when trying to bring their brand promise and customer experience to life. Session attendees will learn about the three strategic focus areas: Creating a Customer-First Culture, Empowering Managers to Act Like Owners and Delivering an Authentic Experience on the frontline that enable organizations to drive customer loyalty and ultimately sales. Giving the inside track of their experiences will be panelists Marianne Scaffidi (Swarovski North America), Christine Landers (Gap Inc.) and Elisabeth Charles (Petco). A combination of best practices presentation, interactive session and panel discussion, this workshop will help attendees better understand and address the canyons that cause organizational dysfunction and impact the customer experience. Gary Magenta, senior vice president at Root, will conduct an interactive best practices session titled Successfully Connecting Employees to the Customer Experience. Attendees will walk away with meaningful best practices for successfully enabling employees across all functions and levels of the business that impact the customer experience to deliver higher levels of service and drive customer loyalty. This includes examples of how a client has changed its learning approach to better support the organization's customer service objectives to help its people deliver an unforgettable in-store experience. Root is the strategic execution company that helps organizations engage their people as the catalyst and driver for change. With more than 20 years of insights from partnering with the world's largest businesses, Root uses a proven strategy execution framework that transforms businesses and accelerates results. A privately-owned company, Root is based in Sylvania, Ohio. For more information, visit www.rootinc.com.